In the 2017 NFL season, the NY Giants placed 31st out of 32 teams in their season records. The Giants, with 3 wins and 13 losses, only had a better record than the Cleveland Browns, who went 0-16. Injuries, poor coaching, and a lackluster performance from the team plagued their season from the start. However, this season’s outlook is mostly positive, especially after a redeeming performance from Eli Manning, the Giants’ veteran quarterback. 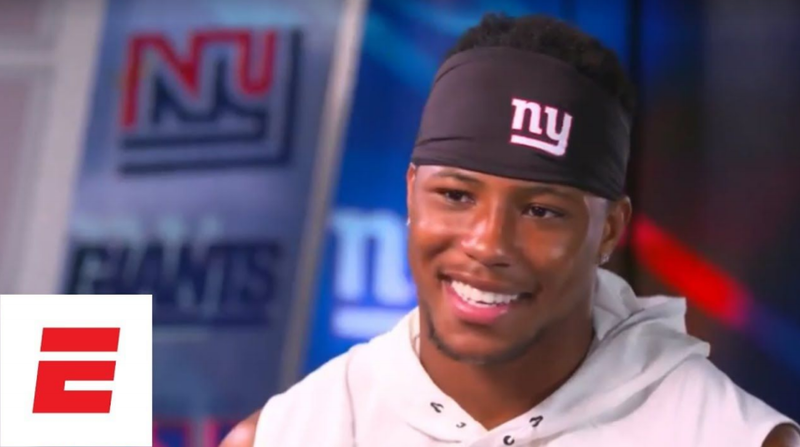 Over the summer, during the 2018 NFL draft, the Giants also chose running back Saquon Barkley, who had attended Pennsylvania State University and excelled, making him the second overall pick. There were a few new coaching additions after the Giants fired their offensive coordinator, defensive coordinator, and head coach from last year’s season. Their new offensive coordinator, Mike Shula, served as the offensive coordinator for the Carolina Panthers from 2013-2017, and their new defensive coordinator, James Bettcher, previously served as the Arizona Cardinals defensive coordinator. The new head coach for the Giants is Pat Shurmur – exactly what the Giants were looking for. Shurmur has been a head coach, held the offensive coordinator position for the Philadelphia Eagles, and has worked specifically with quarterbacks in the past; this is ideal for Eli Manning, NY Giants longtime quarterback of 13 years who has not been performing as he did in Super Bowls XLII and XLVI, where he led the Giants to victory. Yet in the Giants victory over the Houston Texans, Manning had a fantastic performance. He threw for 297 yards and two touchdowns as well as his intended targets received 25/29 of his throws, making it his second-best completion percentage of his career. Along with Manning’s success comes his team’s success, but Manning might have Chad Wheeler to thank for that. The Giants decided to bench Ereck Flowers and substitute Chad Wheeler in an offensive tackle and he exceeded expectations. Two other offensive stars for the Giants are Odell Beckham Jr and as previously mentioned, Saquon Barkley. Odell had yet another good performance with 9 catches for a total of 109 yards. As for Barkley, he has not disappointed the Giants yet. In week 2 vs the Dallas Cowboys, despite a Giants loss, Barkley had a fantastic game: he had 11 carries for 28 yards. However, the impressive part is that he’s a running back and he received 14 passes and 80 yards off of those passes, for a total of 25 touches and 108 yards. Barkley also set an NY Giants franchise record of 14 receptions in a game and tied the NFL record for most receptions in a game for a rookie. Barkley now has a streak of 100+ yards over his first three games. In the game vs Houston, Barkley acquired 117 yards. After the Giants’ third week victory, there is still hope for them to make it to the playoffs. Optimism is up for the Giants and it looks like there is more to come for them.